Boston’s Restaurant & Sports Bar signed a franchise deal that will bring eight Boston’s restaurants to areas across Mexico by 2020. The new locations will join the 13 existing Boston’s in Mexico, and will be owned by seasoned hospitality group Desarrollos Juventud, which brings more than 10 years of experience in hospitality, restaurants and franchising to Boston’s. The group is targeting areas of Torreón, Saltillo, Tijuana, Mexicali, Hermosillo, León, San Luis Potosi and Aguascalientes for restaurant development. The new Mexico locations will offer its guests the same contemporary, sit-down family dining atmosphere with a separate sports bar as the brand does in the U.S., allowing for family and friend gatherings of all sizes. While Boston’s specializes in gourmet pizza and pasta, its menu features nearly 90 items including salads, sandwiches and a variety of sports bar favorites such as burgers, wings and ribs giving guests an offering of traditional American cuisine. The Desarrollos Juventud deal is part of larger growth plans Boston’s has in Mexico to bring a total of 30 new locations to the country in the coming years. 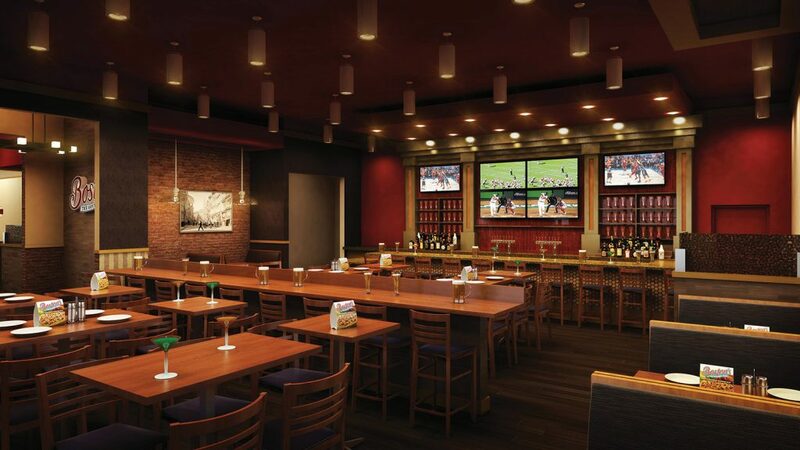 Boston’s Restaurant & Sports Bar’s U.S. operations are based in Dallas. In addition to its Mexico locations, the company currently has 28 locations operating in 22 states. The company’s sister brand, Boston Pizza, has more than 400 locations throughout Canada and is considered the No. 1 casual dining brand in the country. 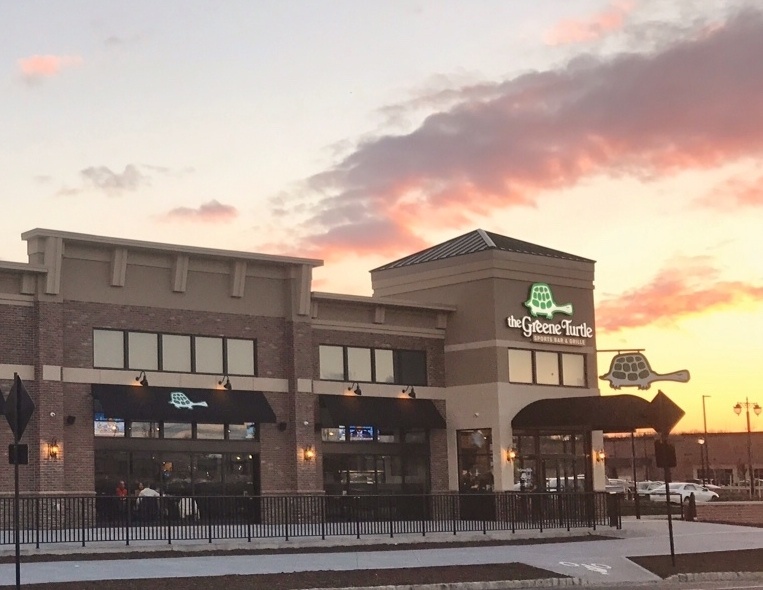 The Greene Turtle Sports Bar & Grille opened its first location in New Jersey, an 8,181-square-foot franchise restaurant with a 1,456-square-foot patio, at 211 Main Street in North Brunswick. Located in front of Target and Costco in the Main Street Center in North Brunswick, the new restaurant is the first to open under a multi-unit development agreement for South and Central New Jersey signed by Imperial Restaurant Group LLC. Now with a foothold in New Jersey, The Greene Turtle’s first Pennsylvania unit opening in April and a third signed lease in Long Island, New York, The Greene Turtle is focused on finding strategic partners to develop exclusive territories in the balance of New Jersey and in the Northeast. Plave Koch PLC, which bills itself as practicing “franchise law with zing,” celebrated its 10th anniversary on February 1. To celebrate, the firm made the fun video above. Wahlburgers officially opened its second Florida location. Wahlburgers Waterford Lakes is located in East Orlando at Waterford Lakes Town Center, Orlando’s largest open air shopping, dining and entertainment destination. 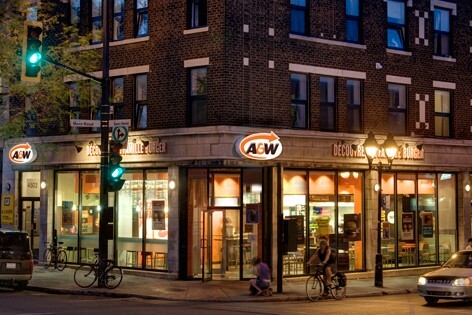 A&W Food Services of Canada, Inc. is pursuing its strategic expansion in Quebec through its Urban Franchise Program. This initiative, a proven success in major Canadian cities, enables Montrealers looking for a new career opportunity to be their own boss by becoming an A&W franchise owner. The Urban Franchise Program is part of a bold, Canada-wide expansion strategy that aims to open 200 A&W restaurants across the country, including 70 in Québec alone, by 2020. The Urban Franchise Program is designed for Montreal’s entrepreneurs and new Quebecers arriving in Montreal looking to be their own boss, take on new challenges and build their financial future. Today, the Pérez family owns and operates two restaurants on the North Shore and a third in Montréal. Chairman and chief executive officer and interim president of the Applebee’s business unit Julia Stewart will resign from the company, effective March 1, DineEquity, Inc. parent company of Applebee’s Neighborhood Grill & Bar® and IHOP® restaurants, announced. Dahl has served on the board of directors since February 2004 and has more than 35 years of experience in senior management of public and private companies, including service as chief executive officer, chief operating officer and chief financial officer. The board appointed Caroline Nahas as DineEquity’s lead director to replace Mr. Dahl and Douglas Pasquale to succeed Mr. Dahl as chairman of the audit and finance committee. Upon completion of the chief executive officer search, the DineEquity board of directors intends to separate the chairman and chief executive officer roles. Applebee’s domestic system-wide comparable same-restaurant sales declined 7.2 percent for the fourth quarter of 2016. Applebee’s domestic system-wide comparable same-restaurant sales decreased 5.0 percent for fiscal 2016. Marco’s Pizza, the nation’s fastest-growing pizza franchise, announced the promotion of Executive Vice President of Operations Tony Libardi to Chief Operations Officer. The move brings Marketing and Employee Engagement under Libardi’s purview, adding to the company’s corporate and franchise operations, as well as Learning and Development that he has led since joining the company in 2014, a time during which Marco’s experienced 12 consecutive quarters of same store sales growth. Libardi said his focus will be on people, product and process to uphold the brand promise for the growing chain. Libardi and his team will fine-tune and implement several new best practices aimed at pairing the brand’s Better Pizza philosophy with an equal Better Guest Experience tenant, including a new modern work flow design, a state of the art e-learning platform and enhanced hiring and retention employee engagement practices. Prior to joining Marco’s Pizza, Libardi spent 10 years running a $1 billion division for Burger King, leading a restaurant portfolio of 750 locations with combined sales of approximately $900 million annually as the Vice President of U.S. Company Operations. During his tenure, Burger King saw a 6.5 percent sales increase and a 35 percent restaurant profitability increase year over year in 2012. With plans to open 150 new stores in 2017, averaging at least one opening every three days, the company is on track to reach over 900 locations by year’s end. Johnny Rockets continues to experience international growth, opening new restaurants in Latin America and Asia and signing development deals to open restaurants in the Caribbean, Singapore, Switzerland and the United Kingdom. Recent openings include the brand’s first restaurants in Peru and Bangladesh, while also reaching more than 25 restaurants in both Mexico and South Korea, crediting its flexible prototypes and refreshed Diner 2.0 design for its continued growth. As part of this strategic growth, Johnny Rockets opened new restaurants in Mexico, Brazil, Chile, Colombia, Paraguay, Peru, Bangladesh, Pakistan, Saudi Arabia and South Korea. Many of these new restaurants are located in malls, as the brand has solidified itself as a leader in this niche market due to its flexible footprint and offering of better burgers, shakes and fries to shoppers. The all-American brand started 2017 with key development agreements, partnering with groups to bring Johnny Rockets to the Caribbean, Singapore,Switzerland and the United Kingdom. The Diner 2.0 brand refresh played a key role in Johnny Rockets’ recent growth, evolving the brand from a traditional diner experience to a modern, fresh design and environment. It includes new décor and high efficiency kitchen equipment, allowing restaurants to offer the brand’s signature made-to-order burgers, shakes and crispy fries at faster speeds without sacrificing the quality. Johnny Rockets’ franchise partners currently operate more than 170 restaurants outside the U.S., and the brand plans to continue its aggressive expansion in 2017, with plans to open in more than a dozen new countries, including Australia, Guyana, Sri Lanka and Uruguay. Chicken Salad Chick was recognized as the No. 1 fastest-growing business owned or operated by a University of Georgia graduate during the 2017 Bulldog 100 Celebration on Feb. 4 at the Atlanta Marriott Marquis in downtown Atlanta. 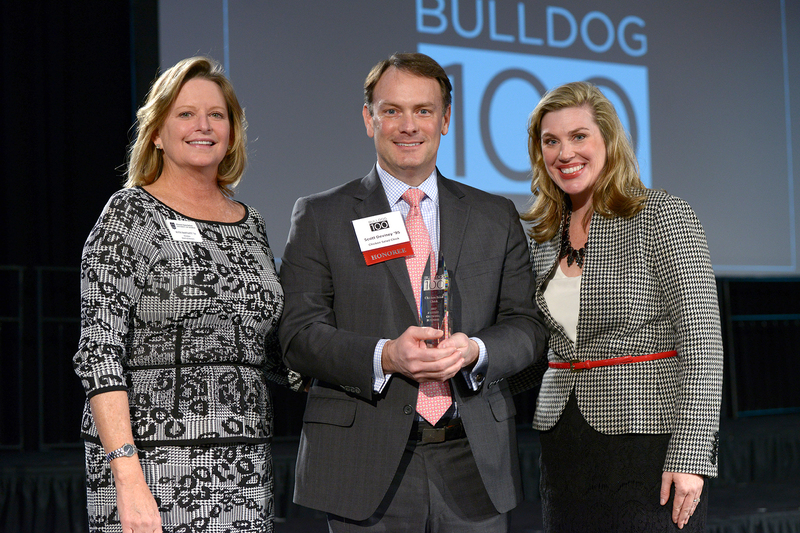 The Bulldog 100, coordinated by the UGA Alumni Association, recognizes the 100 fastest-growing businesses owned or operated by UGA graduates. Ruth Bartlett, president of the UGA Alumni Association Board (left), and Meredith Gurley Johnson, executive director of the UGA Alumni Association (right), with Scott Deviney, Chicken Salad Chick president and CEO in the middle. Chicken Salad Chick, led by CEO Scott Deviney, operates 65 restaurants and has sold 146 franchises in eight states, selling chicken salad in more than 12 flavor profiles. In 2016, Chicken Salad Chick landed at No. 37 on Inc. Magazine’s annual list of the 500 fastest-growing companies in the United States, with a growth rate of more than 6,000 percent in the past three years. Deviney received his degree in economics from the University of Georgia’s Terry College of Business in 1995. Approximately 490 nominations were submitted for the 2017 Bulldog 100. The class includes companies of all sizes, providing services and products in a variety of industries, including real estate, law, IT, consulting, retail and pest control. The average compounded annual growth rate for this year’s Bulldog 100 businesses was 44 percent. Tropical Smoothie Cafe signed a franchise development agreement with Glen Johnson to expand the brand’s presence throughout the state ofTexas. Johnson will be opening 20 new cafes, the first of which opened earlier this month in Lubbock, TX. This new agreement in Texas was fueled by Tropical Smoothie Cafe’s accelerated franchise development plans in 2017. On the heels of one of the strongest years in the company’s 20-year history, the award-winning brand successfully propelled its expansion and grew its presence in key markets nationwide, including Charleston, South Carolina; Albuquerque, New Mexico; Dallas, Texas; and Southern California. This year, the food and smoothie franchise plans to open 100 restaurants nationwide and currently has franchise opportunities across the U.S. in markets such as Indianapolis, Nashville, Houston, Dallas, Cincinnati and Minneapolis, among others. By 2020, Tropical Smoothie Cafe plans to have 1,000 stores open across the U.S. Tropical Smoothie Cafe’s aggressive franchise growth is backed by the entrepreneurs at the BIP Franchise Accelerator, a division of venture capital firm BIP Capital, which invested in the brand in 2010. BIP Capital has invested more than $250 million in emerging, high-growth brands across the franchising, software, and technology and consumer products industries. BIP Capital created the BIP Franchise Accelerator to leverage its leadership team’s deep franchise experience to help emerging brands accelerate their growth. In addition to Tropical Smoothie Cafe, the BIP Franchise Accelerator’s portfolio includes Tin Drum Asian Kitchen, which has grown to 11 locations in Georgia. Pie Five Pizza Co. is celebrating life, liberty and the pursuit of pizza with the grand opening of its first location in the Keystone State! The fast casual restaurant, known for customizable pizzas prepared in five minutes or less complete with unlimited toppings and fresh ingredients, is located at 580 Walker Rd. Pie Five franchisee, Peter Ballantine, is a former McDonald’s franchisee with more than 20 years of experience in the restaurant industry. TheChambersburg location marks the first installment of the development deal with Ballantine that includes up to 34 locations in Pennsylvania and Ohio. In celebration of the grand opening, Pie Five donated a percentage of proceeds from preopening events to the Four Diamonds Fund, an organization that provides superior care and support to juvenile cancer patients at Penn State Children’s Hospital. With over 100 locations nationwide, Pie Five’s fast casual concept provides guests with a fully customizable experience from start to finish. Delight Restaurant Group announced today the December 2016 acquisition of 30 Wendy’s® restaurants in the Virginia Beach – Norfolk metropolitan area. As part of the transaction, Delight Restaurant Group plans to build several new restaurants in the area and remodel certain acquired restaurants in Wendy’s new Image Activation format. The 30 restaurants produce approximately $50 million in gross annual revenue and have over 1,000 employees. The acquisition was completed with a subsidiary of The Wendy’s Company and is part of Wendy’s previously-announced System Optimization initiative to reduce company-operated restaurant ownership to approximately five percent of the total system. Delight Restaurant Group is a new, growth-oriented franchisee in the Wendy’s system founded by Managing Partners Andrew and Richard Krumholz in 2016. The company plans to continue expanding through acquisitions of existing Wendy’s restaurants and new unit development. The nationwide brick-and-mortar expansion of New York City’s halal food cart concept continues with the opening of The Halal Guys Gyro and Chicken at 72 Halsey Street in Newark, NJ. Located in the heart of the Teachers’ Village neighborhood and close to area landmarks NJPAC, Prudential Center and the Newark Museum, The Halal Guys at Halsey Street promises to be as immensely popular among families, students and business people as the team’s recent East Brunswick, NJ opening, delighting each and every one with unparalleled hospitality and mouthwatering food at great prices. Delivery and catering will also be available. The Halal Guys began in 1990, when the three founding partners opened up a hot dog cart on West 53rd & 6th Avenue in New York City. As business grew, they recognized a huge demand from Muslim cab drivers looking for a halal food meal. That is when the famous platter of chicken and gyro over rice was born. And let’s not forget about the famous white and red sauces! Pollo Campero, posted a strong performance for 2016, marking the fifth consecutive year the Latin chicken chain has posted positive sales growth, and the first time the company surpassed $100 million in sales in the United States. The news comes as Campero looks to continue its sales momentum in 2017, while enhancing its Latin menu and expanding its restaurant footprint. Pollo Campero has focused on strengthening its Latin positioning and attention on millennials to maintain its brand momentum. From menu and new product innovation, technology and new brand image, Campero continues to fuel its growth by growing its millennial customer base. Campero’s growth plan includes expansion via company-owned restaurants and franchising. As the brand sets out to double the size of its U.S. footprint, it will remain focused on select markets across the country. One of the company’s biggest initiatives for 2017 is to build its franchise pipeline as it looks to aggressively expand its franchise network in California, South Texas,New Jersey and Atlanta. “We have developed an attractive value proposition for prospective franchisees. As we build our franchise network, we place special emphasis on making sure new franchisees are a good fit for our brand beyond financials, to ensure we deliver the right experience for our guests, to fuel our momentum and achieve our ambitious goals,” finished Pulido. MOD Super Fast Pizza Holdings added its ninth franchise partner – Southern Pie, LLC – who will develop MOD stores in Georgia and Alabama. Southern Pie, LLC, led by Robbie Hill and Kimberly Hill Hayden, plan to open their first MOD stores in 2017. The father-daughter team are multi-industry entrepreneurs who have built and operated successful construction and healthcare companies, and also operate the Bojangles’ business in the same region. MOD has over 195 locations in 20 states including Arizona, California, Colorado, Idaho, Illinois, Kansas, Kentucky, Maryland, Michigan, Missouri, New Jersey, North Carolina, Ohio, Oregon, Pennsylvania, South Carolina, Texas, Virginia, Washington and Wisconsin, as well as five locations in the UK. Captain D’s plans for continued development in Florida, targeting Tampa, St. Petersburg, Sarasota and Bradenton to expand its presence through franchise growth. Captain D’s currently has 30 restaurants located throughout the state, opening three locations in North Florida last year and signing a multi-unit develop agreement to bring additional locations to Orlando. Captain D’s aggressive growth plans for Florida are part of the brand’s overall franchise development plans for this year. This expansion is further driving Captain D’s ongoing success, achieving its fourth successive year of record high system-wide AUV in 2016. Captain D’s also saw a fourth-quarter system-wide same-store sales increase of 1.3 percent and a 2.3 percent system-wide same-store sales increase for the entire fiscal year, marking the company’s 21st consecutive quarter and sixth consecutive year of positive growth. Those interested in developing Captain D’s restaurants in Tampa, St. Petersburg, Sarasota and Bradenton are encouraged to contact Mark Levis, senior director of franchise development at (615) 603-8373 or (615) 231-2006 to discuss opportunities. Levis will be at booth 301 at the Tampa Franchise Expo on Saturday, Feb. 18 and Sunday, Feb. 19 from 10:00 a.m. – 4:00 p.m. at the Tampa Convention Center, located at 333 S. Franklin Street. Captain D’s success in 2016 was further driven by its seafood expertise and product innovation, with the introduction of new menu items including Nashville Hot Fish, Home-Style Flounder, Coconut Shrimp and Salmon Cakes. Coupled with its menu diversification and expanded array of offerings, Captain D’s credits its new restaurant beach design with contributing to the brand’s compounding success. To date, nearly 60 percent of all restaurants have been reimaged to the brand’s new vibrant, coastal design, with another 50 locations to be remodeled by the end of this year. With these efforts, Captain D’s has remained true to what it does best — serving high-quality seafood with warm hospitality at an affordable price in a welcoming atmosphere. With 518 restaurants in 21 states, Captain D’s is the fast-casual seafood leader and number one seafood franchise in America ranked by average unit volume. The company is currently seeking single- and multi-unit operators to join in the brand’s rapid expansion. Newk’s Eatery experienced continued growth in 2016, including six new area development agreements that will add more than 40 new restaurants to the brand’s regional footprint. The company’s rapid expansion in 2016, with 16 new restaurant openings and three new market entries, has created 48 percent new store growth in two years. In December 2016 and January 2017 alone, the company signed three new development agreements with retail and restaurant franchise industry veterans CTM Hospitality, C&P Retail Investments and Eagle Dining LLC. CTM Hospitality is expanding Newk’s presence in North Texas, coveringTexarkana, Greenville and Rockwall, while C&P Retail Investments will further develop the state of Georgia in Albany, Warner-Robbins and Valdosta. Eagle Dining LLC has inked a deal to open four restaurants in the Fort Myers/Naples, Florida, DMA. Large area development agreements for Indianapolis and Northern Virginia rounded out the new market penetration for 2016. In addition to franchise-based expansion, the chain will continue corporate growth in Jacksonville and Gainesville, Florida. DOCASA, Inc., through its award winning subsidiary, Department of Coffee and Social Affairs Limited, opened its newest coffee shop in Bristol, UK, as part of its continuing national expansion plan. The launch of the Bristol outlet brings the total number of the Company’s coffee shops in UK to 13 operating, 3 under construction, and 6 in advanced negotiations, totalling 22 sites – which would indicate expansion of greater than 100 percent in a one year period, with all of the shops in prime locations or destination sites, attracting increasing foot traffic. “We are tapping into the ever-growing demand in the UK for quality, specialty coffee, and our national roll-out plans are proceeding as expected,” said DOCASA Chairman, Stefan Allesch-Taylor. Department of Coffee and Social Affairs’ Bristol coffee shop, which provides both indoor and outdoor seating, is located in the destination Cabot Circus Shopping Centre. Classic Rock Coffee Company awarded the Area Franchise Development Rights for Florida and Georgia to Area Developers Jerry Cohn, David Tannen and Tom Herter who include in their track record helping develop franchised brands like Pak Mail Centers of America and Century 21 Real Estate over the past three decades. They plan on expanding Classic Rock Coffee rapidly by offering single and multi-unit development opportunities. Classic Rock Coffee Company is pre- approved for SBA loans. They are looking for franchise owners with a minimum net worth of $400,000 and $50-100,000 in cash, who appreciate their “cool factor” comfy sofas and chairs, guitars hanging on the walls, plus classic rock music piped in from their very own radio station. East Coast Wings + Grill, closed out 2016 complete with a brand reinvention. Dubbed East Coast Wings + Grill 2.0, the refresh has provided a modern comfort dining experience including a new logo, menu items and revamped interior. Delivering two units implementing the new interior and décor in the fourth quarter of 2016 alone, the brand currently has four locations in construction for 2017. With 44 units open or in construction nationwide, the refresh is the next step to elevate the brand to the 100+-unit mark. To be implemented in all locations moving forward, the first restaurants debuted in Atlanta, Ga. and Harrisburg, NC. In construction for Q1 and Q2 2017 openings, locations in Burlington & Greensboro, NC, Memphis, Tenn. and Lynchburg, Va. will also implement the new interior. Additionally, all existing locations will eventually convert to adopt the new look. Upon entering new locations, guests can expect a more rustic and industrial styled space appealing to both the brand’s current customer base, as well as younger millennials. With the evolved look, East Coast Wings + Grill revamped the food and drink experience as well. The food enhancement began with the 2016 fall menu debut and will conclude the transition with the 2017 spring menu. 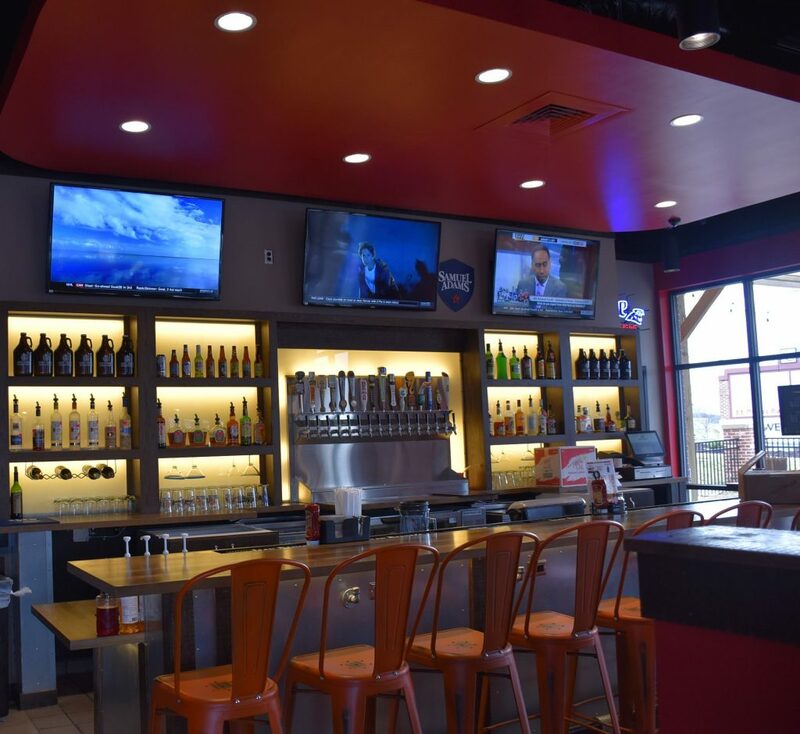 Further, East Coast Wings + Grill will be converting the beer offerings to Craft style beer with more than 65 options from local, regional and national breweries. The 2.0 look has taken the new markets by storm—elevating Harrisburg, NC to potentially unseat the brands 10 year running number one location in the country in gross sales and at 1,000 square feet smaller footprint. “It takes the community, the brand and the on-the-ground operator to produce this style of trajectory. If they sustain current sale trajectory this month, it would be record numbers for any casual dining measurement at their capacity in the last 15 years. These franchisees execute by the book, always embracing the brand’s initiatives and caring for the community,” added Ballas. 2016 was also a banner year for the brand’s unit economics. As reported by the franchise system, the average unit level EBITDA was 18.3 percent. “Given the casual dining sector’s overall growth numbers, I am very pleased with this number – we had an extremely small drop, approximately 70 basis points over 2015 with our owner-operator units. This strong performance is a direct result of our franchisees sticking to what the system’s historical data offers them for operations, and a positive mark on my Unit Level Economics Division,” stated Ballas. With more than 60 locations currently operating or in various stages of development, East Coast Wings + Grill plans to open two additional locations by year-end. Specifically, the franchise is looking to expand its national footprint in Florida, Georgia, Kentucky, North Carolina, Pennsylvania, South Carolina, Tennessee and Virginia. Sub Zero Ice Cream plans to significantly expand its presence in the Lone Star State over the next 10 years, with the goal of opening at least 75 new franchised locations in Austin, San Antonio, Dallas and Houston. The brand is currently seeking qualified franchisees to bring the concept to these metro markets and surrounding areas. Sub Zero area developer Ally Lakhpaty, CPA, has identified Austin, San Antonio, Dallas and Houston for franchise expansion due to the brand’s 10 successful stores across the state, including six in Houston. In fact, three of the current Texas stores consistently rank among the top-performing stores in the system. Additional factors for development include the growth of the metropolitan population, strong economic activity, availability of prime real estate and an overall friendly environment for entrepreneurs and small businesses. 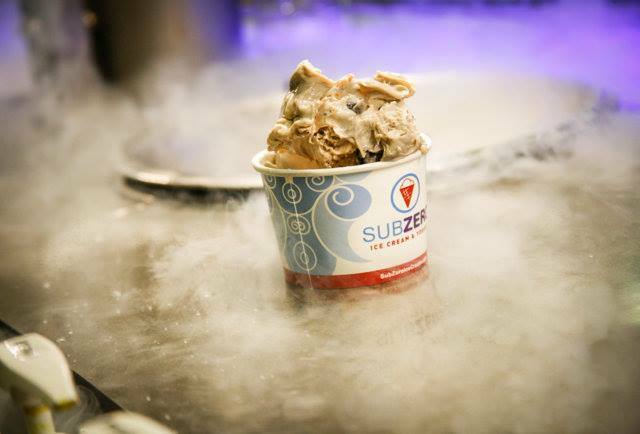 Sub Zero currently has more than 50 domestic stores, as well as locations in China and the United Arab Emirates. The company plans to open 50 additional stores over the next 18 months. Over the past year, Wendy’s has improved cooking procedures, launched a better-tasting and better-for-you Grilled Chicken Sandwich, and is now making a nearly $30 million system-wide investment to implement the change to smaller birds across all U.S. Wendy’s restaurants. While the size of its sandwiches will remain the same, the chicken Wendy’s serves will become more delicious and tender. Recrafting the Grilled Chicken Sandwich with a better-for-you option that tastes great. Wendy’s thaws the chicken prior to cooking, creating a delicious sear and a more flavorful chicken breast. The chicken is served on a new multi-grain bun with a fresh cut tomato and spring mix. While Wendy’s chicken has always been MSG free, Wendy’s also removed artificial flavors, preservatives and colors from artificial sources. Wendy’s created one of the industry’s first Animal Welfare Advisory Councils in 2001 to review and strengthen animal care standards by suppliers. Many of these standards were later adopted industry-wide. On chicken, Wendy’s employs a team of in-house animal welfare experts who strictly audit chicken welfare from hatchery to broiler house to processing facility, ensuring suppliers provide carefully formulated and nutritional feed, access to clean water, adequate room to grow, veterinary oversight and proper handling. Wendy’s auditors will work closely with suppliers to ensure implementation of the new bird size specifications. In 2016, Wendy’s committed to eliminate the use of all antibiotics important to human medicine in its chicken by the end of 2017. Wendy’s suppliers are working hand-in-hand with the brand’s supply chain co-op, quality assurance and animal welfare experts to implement the changes across the entire U.S. supply of Wendy’s premium chicken breasts through the second quarter of 2017 and all suppliers are already raising birds to the new specification. * Wendy’s restaurants in Canada have long sourced from smaller birds and have enjoyed consistently high levels of customer satisfaction. To keep Canadians warm this winter, Taco Bell partners with celebrity Toronto designer Hayley Elsaesser to launch an exclusive TaCoat – the first ever winter coat inspired by Taco Bell’s iconic Crunchy Taco. The one of a kind TaCoat is a convertible jacket and the perfect choice to keep the Taco Bell super fan warm this winter. Hayley Elsaesser is known for her vibrant patterns and imaginative designs, and she maintains the same passion for fun, bold choices as Taco Bell – the TaCoat exemplifies that. What is the TaCoat? Along with Taco Bell and its fans, Hayley has been working hard to design the perfect coat that highlights Taco Bell’s appreciation for fashion and art, while delivering to fans something they can truly be proud of. It features special insulated utility pockets, and although they might be the perfect shape to stash a Taco or Fire Sauce, they’ll easily fit all the essentials from your mobile phone and ID to keys, pens, gum – you name it! For extra warmth, the TaCoat is made up of two layers including an outer shell featuring an illustrated taco print on a wavy background in the iconic Taco Bell purple. The detachable inner layer features shades of teal green and aqua, offering both an extra boost of warmth and vibrant pop of colour. Not only did Taco Bell create the TaCoat, but they’ve engaged their fans to help along the way. On February 6, the brand hosted a live sketch session on their Facebook page where fans could interact with a sketch artist in real-time and help add features, contribute design ideas, and have their say on what the TaCoat should be. McDonald’s restaurants in the San Francisco Bay Area are currently testing a new menu item: the McDonald’s Crab Sandwich. Made with Snow Crab meat on a sliced sourdough bun, this local favorite is being served in four restaurants in San Jose. The Crab Sandwich features crab meat mixed with diced celery and seasoned mayo dressing, served on a bed of romaine lettuce and tomato slices on a toasted sourdough bun, brushed with herbed butter. The McDonald’s Crab Sandwich is part of a continuing trend to experiment with regional flavors and local Bay Area tastes. McDonald’s of the Greater Bay Area worked with chef and TV personality Ryan Scott to develop the Crab Sandwich. Pending positive customer feedback, the Crab Sandwich will be available at nearly 250 McDonald’s restaurants across the San Francisco Bay Area later this year.